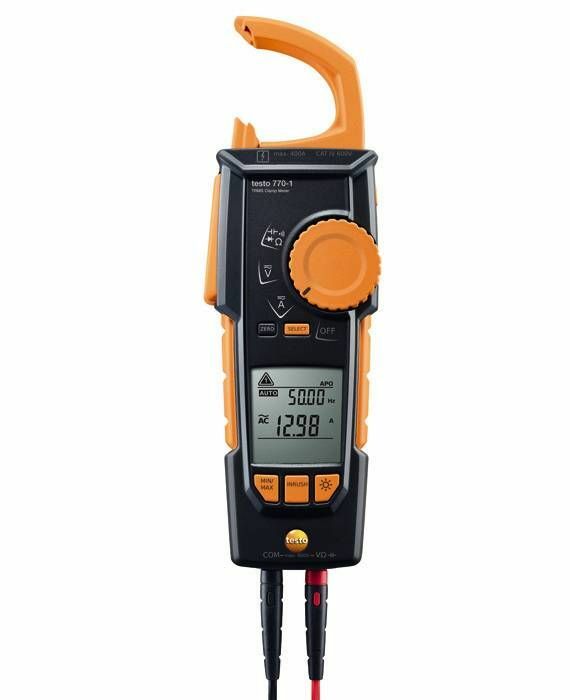 Standard measuring cables with straight plug | Tensão | Medição parámetros elétricos | Parâmetros | Instrumentos Testo S.A. 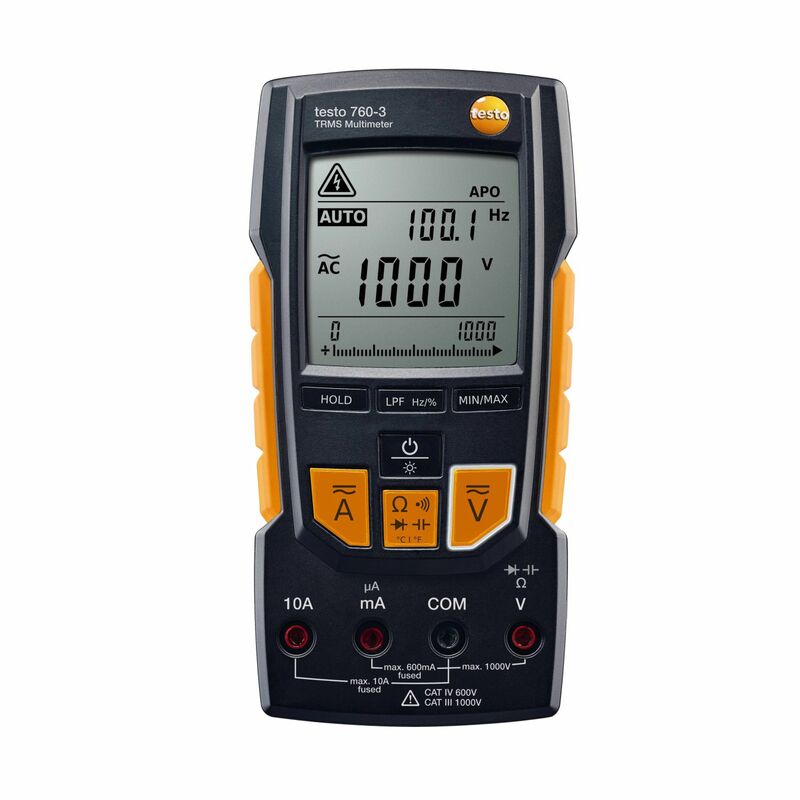 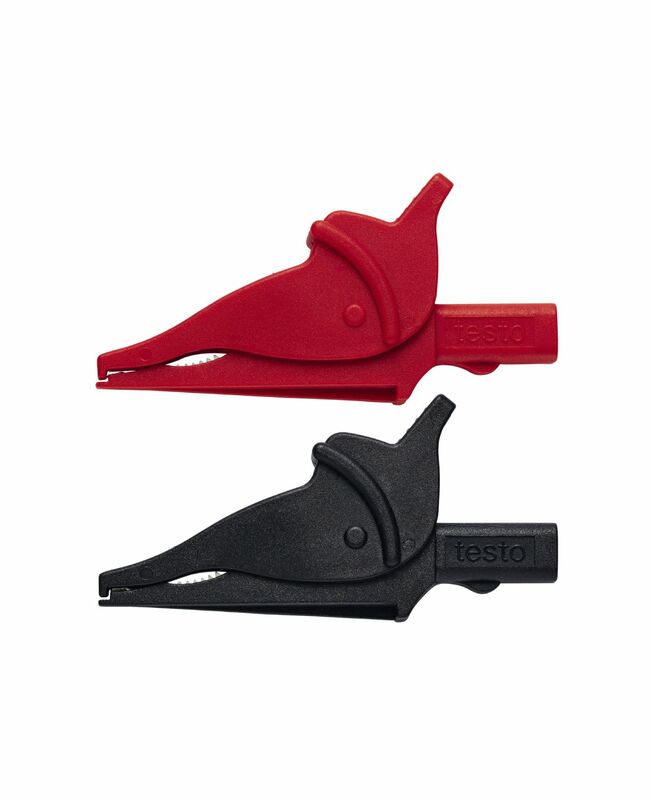 These high-quality standard measuring cables with a straight plug and an 18 mm long tip can be attached to Testo clamp meters, Testo digital multimeters or other makes of multimeter. The rubber-coated grips of the standard measuring cables offer a secure hold and so ensure easy measurement of electrical parameters. 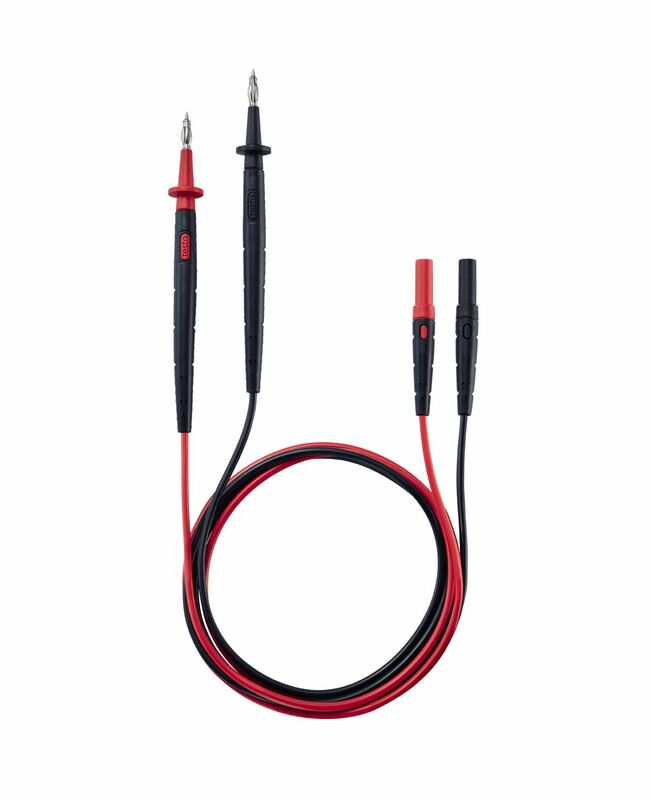 1 set of standard measuring cables (straight plug), tip Ø: 4 mm, tip length: 18 mm.